#2. Werevolwes 2 + 2.5D Ruins and Scenery! Total more than 340 two-sided figurines! Plus optional accessories and props to build gaming scenery, mod and enhance your armies! Then there are MOD-KITs so you can assemble your very own hero versions. Hope that you take advantage of this great opportunity to complete your collection or get familiar with PERMES Cardboard Models products. 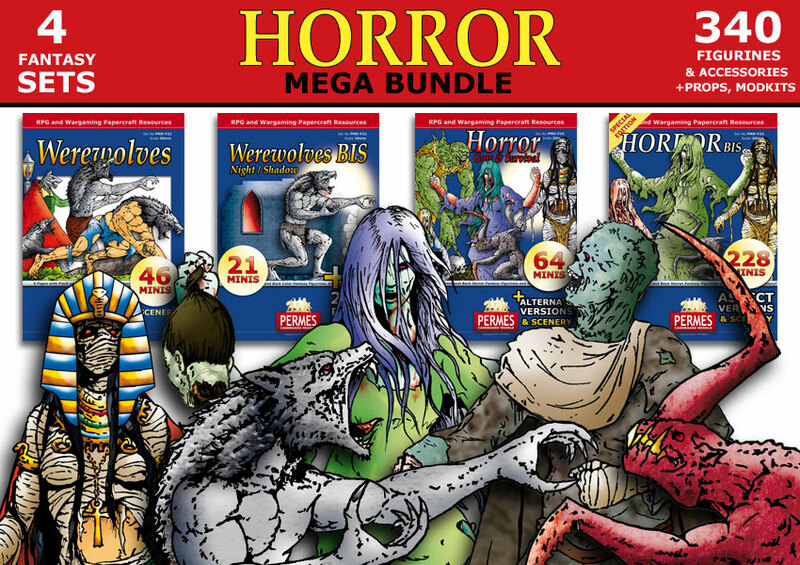 You may also want to check out other PERMES Mega Bundles vailable at WargameVault and RPGnow sites!